The food industry is all about trends. Fads come and go. Berks County has seen it many times in recent years. We are just coming out of a boom period for barbecue where it seemed every other restaurant that opened was serving smoked meats. We saw the same thing with fro-yo. Just the other year, Berks County saw a half-dozen or more frozen yogurt spots open up around the county. But while the industry ebbs and flows, its the innovators that thrive. One of the hottest culinary trends today is food trucks. The restaurants on wheels have become increasingly popular in the last two years. 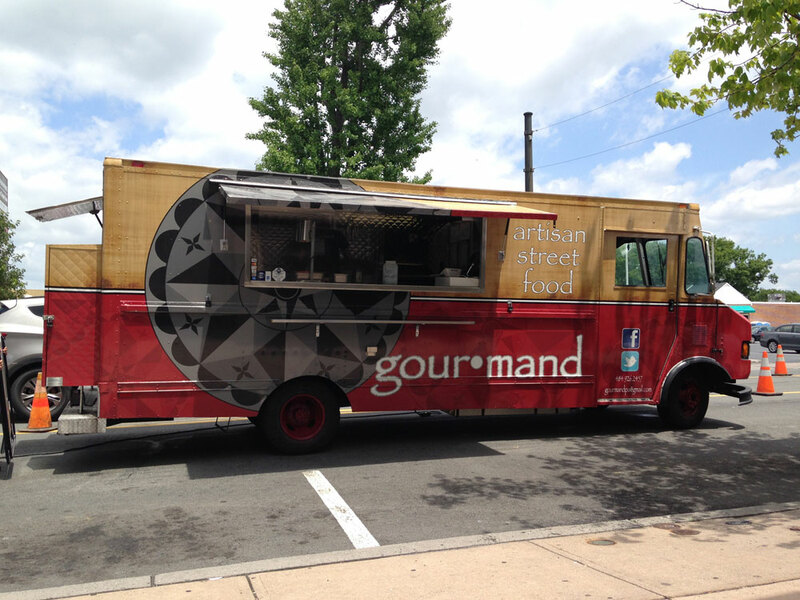 And the truck that truly started the revolution in Berks is Gourmand. 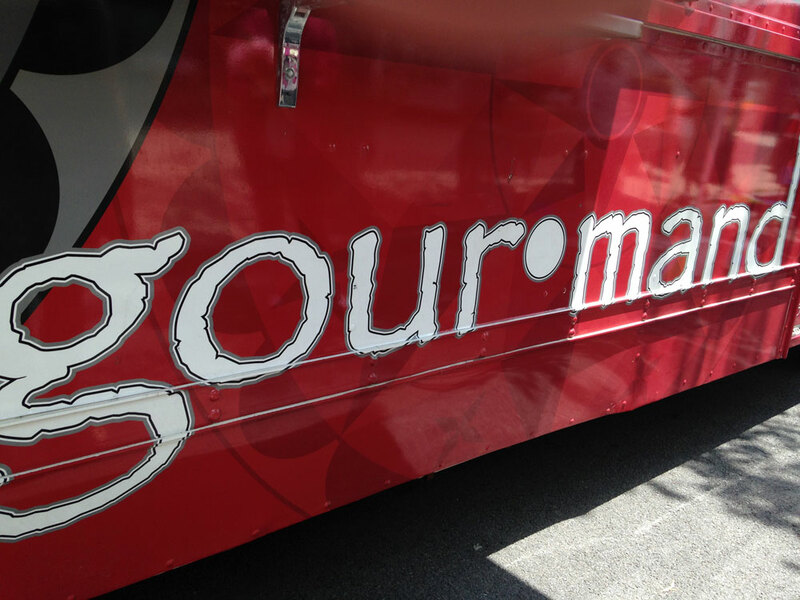 Advertising itself as “artisan street food,” Gourmand wasn’t the first food truck in Berks County, but it is arguably the most recognized. Its success has spawned two brick-and-mortar locations: one inside Body Zone in Spring Township and another on Berkshire Boulevard in Wyomissing. It seems like the distinctive two-tone truck with the gray hex sign is at every major outdoor event or concert. Though the Gourmand truck makes its rounds across the county, we found it close to home, set up along Penn Ave in West Reading for the West Reading Farmers Market where the truck is a regular fixture. One of the great things about food trucks is that the menus are ever-evolving. Menu boards are erased every day, allowing for daily innovation and creativity. And creativity certainly describes Gourmand’s menu on this day. The day’s menu included a lot of things that you won’t see anywhere else in Berks County, like truffled goat cheese fries, lobster tacos and The Berks, one of Gourmand’s signature sandwiches. The Berks is a work of pure genius. 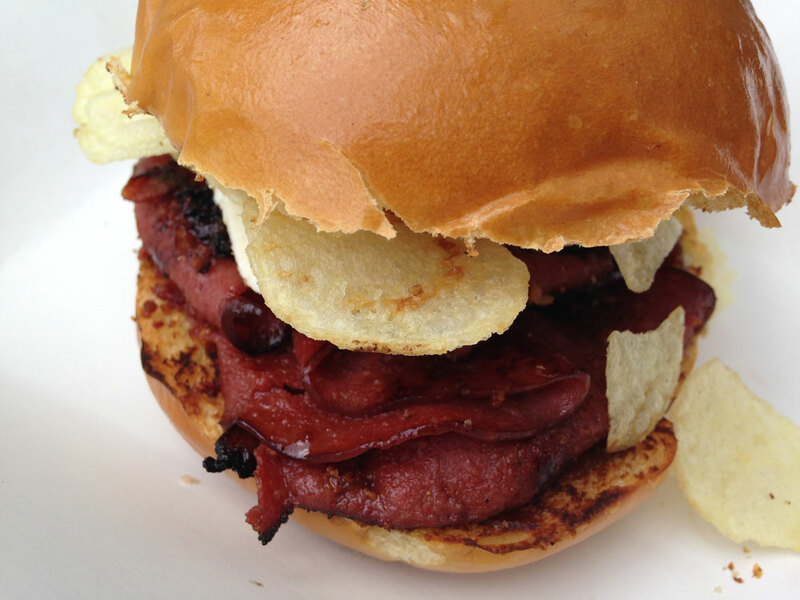 It starts with fried sweet bologna on a toasted hamburger bun. Then it’s topped with cream cheese, apple butter, and potato chips. It’s a delicious combination of savory, sweet and salty. Fried Lebanon bologna will always be a favorite of mine (thanks to the Kutztown Fair), but cream cheese and apple butter add a layer of creaminess. And who doesn’t love putting potato chips on their sandwich? Another of Gourmand’s signature concoctions is the Gourmand fries. The truck’s standard fries are tasty, fast-food-style fries, but this takes them to a whole new level. 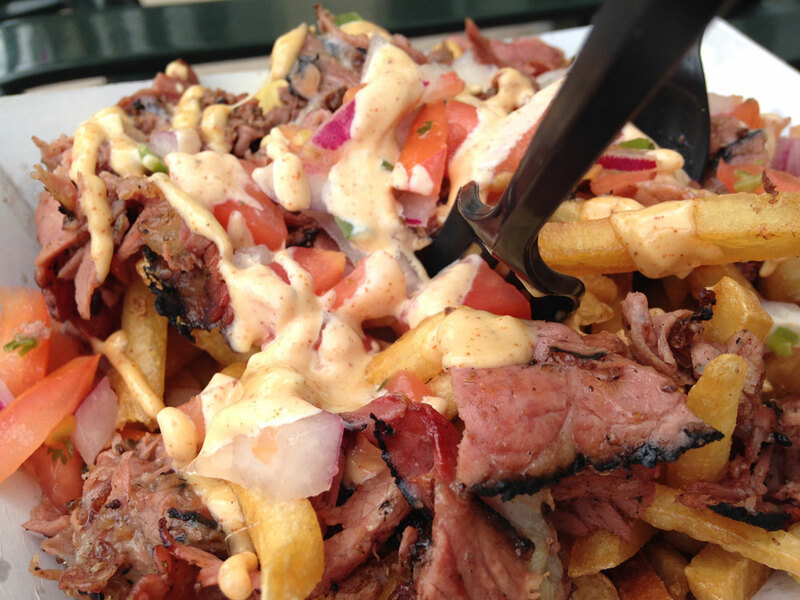 The standard fries are topped with fried pastrami, crispy bacon, provolone, pico de gallo and chipotle aioli. Pastrami sounds like the odd-man-out in this dish, but it makes a great substitute for a more expected meat, like pulled pork. It’s a side dish that eats like an entree, and a very good one at that. Everything on Gourmand’s menu gets turned up a notch, even their take on grilled cheese. 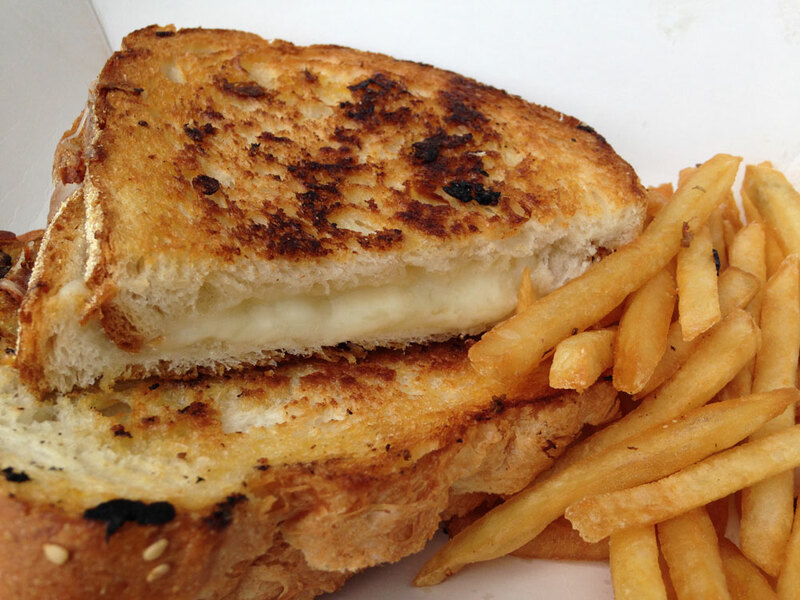 The “Trio Cheese” sandwich featured mozzarella, provolone and gruyere on Italian bread. It was grilled to perfection and the three cheeses blended perfectly together. Unbeknownst to Julie, her grilled cheese sandwich also came with fries, but we happily added them to our other pile, half of which went home with us. In French, gourmand literally means glutton or gluttony. And that’s pretty much how we felt when our meal was over. Gourmand’s sandwiches are all less than $10 apiece (both of ours were priced at $7) so a meal won’t break the bank. Even with our additional fries and a pair of drinks, our total was less than $25. The food truck craze is still going strong in Berks County, but it’s hard to say for how long it will last. Fads come and go; it’s just the nature of the business. 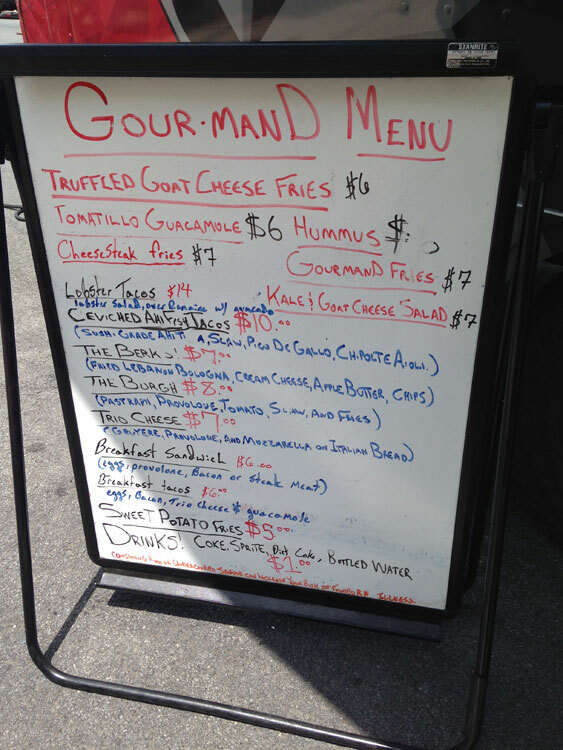 One thing I can say with confidence: when food trucks are no longer the talk of the town, you’ll still be able to find artisan street food at Gourmand. It’s just too good to go away.